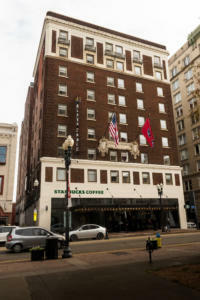 NATIONAL REPORT­—Hotel Business brings you some of the latest domestic openings, including a “new” 100-year-old property in Knoxville, TN. 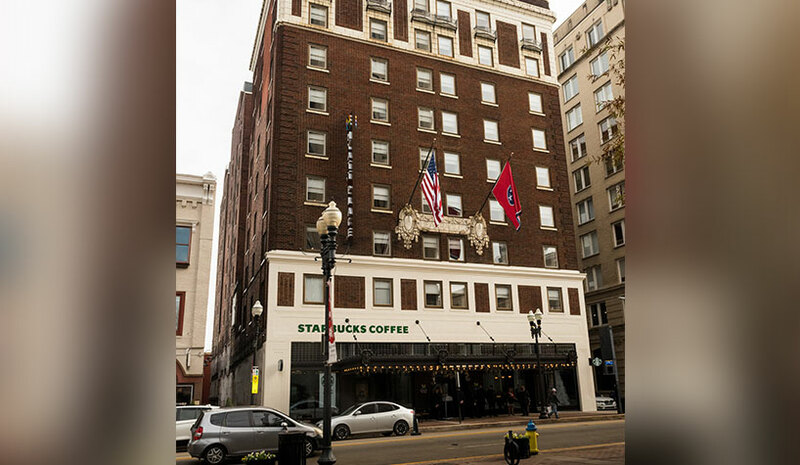 Hyatt Place Knoxville/Downtown has opened in the historic building formerly known as the Hotel Farragut, a mainstay of downtown Knoxville since opening in 1917. The property, the first Hyatt-branded hotel in Knoxville, is owned by Dover Development and is managed by Indiana-based White Lodging. The property stands on Gay St., downtown Knoxville’s center for eateries, retail and entertainment. 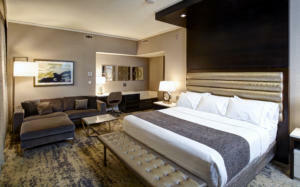 The space has 165 guestrooms with separate spaces to sleep, work and play, and more than 3,848 sq. ft. of meeting/function space, including a rooftop venue and five meeting rooms, the largest measuring at 1,350 sq. ft. The redevelopment of the property includes the area’s only open-air rooftop space for special events that overlooks the Smoky Mountains, according to the company. The hotel also maintained several of the Hotel Farragut’s original features including a staircase made of Tennessee pink marble. It features art from local artists in the lobby and guestrooms and houses the Tennessee Theatre ticket office and Legacy Parks downtown office. Marriott International’s TownePlace Suites by Marriott Albany, Georgia, located at 3014 Kensington Ct., offers 80 studio, one-bedroom and two-bedroom suites with fully equipped kitchens, as well as separate living/working and sleeping areas. The rooms also have adjustable workspaces with built-in shelves and lighting, a large flat-screen television, as well as new bedding. Most rooms also have the Home Office Suite, designed to provide guests with storage and flexible space to spread out and make it their own. The new hotel will operate as a Marriott franchise, owned and managed by PeachState Hospitality LLC of Warner Robins, GA. Amenities include an outdoor swimming pool, an exercise room open 24 hours per day, laundry facilities, complimentary WiFi throughout the hotel and on-site business services, and 530 sq. ft. of meeting space to accommodate functions of up to 10 people. 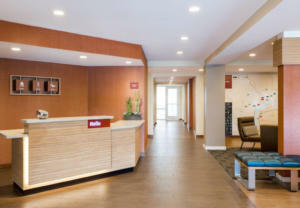 The 125-room Courtyard by Marriott Long Island Islip/Courthouse Complex in Central Islip, NY, is owned and managed by The Briad Group of Livingston, NJ. The property includes the brand’s new room design. Signature furniture and architectural elements replace traditional art in the guestrooms. The “LoungeAround” sofa offers a pop of color in the space. There is also a light desk on wheels, allowing guests to work from anywhere in the room. Elsewhere, a “Shower Nook” housing shampoos and towels makes amenities accessible without having to leave the shower. The bathrooms also have Paul Mitchell bath products. The property also offers the Refreshing Business lobby environment. Along with media pods, complimentary WiFi and a variety of seating zones, the redefined space is designed for everything from pop-up meetings to social gatherings. The lobby has The Bistro – Eat. Drink. Connect, offering casual, flexible seating and F&B options. With the opening of the Mystic Lake Center and its hotel rooms and event space in the Twin Cities of Minnesota, Mystic Lake Casino Hotel is now one of the largest hotels in the metro area with 766 total rooms, according to the company. Owned and operated by the Shakopee Mdewakanton Sioux Community (SMSC), and located southwest of Minneapolis and Saint Paul, the space can accommodate groups of all sizes for a range of meetings and events—from business meetings to conferences and expos to weddings. The 70,000-sq.-ft. meeting and event space has three large ballrooms with flexible layouts, several smaller meeting rooms and an executive conference room. The nine-story hotel tower, called “The Promenade,” has 180 rooms, all with a view of the Meadows Golf Course. The design of Mystic Lake Center is inspired by Minnesota’s natural scenery. The center has wall decor and lighting reflecting the colors of the seasons, textured carpet in blue and gray tones depicting the movement of a flowing river, custom chandeliers with a water-drop design and ample natural light. The center’s western facade has more than 11,000 sq. ft. of dynamic SageGlass with electrochromic technology that reacts to sunlight, preventing glare and heat gain without the need for blinds or solar controls. The project was led by PCL Construction Services Inc. and designed by Worth Group Architects & Designers.